I’ve heard something similar to the statement above at least every few weeks the last 2-3 years. Are the grain markets rigged in favor of the commodity funds? I don’t think so but can I be 100% sure? Nope. If they are, what can we do about it? Nothing. Also, let’s look at how “they’re doing”. Based on a Barclay’s index of 500+ commodity trading funds, you would’ve received an 0.612% annualized rate of return had you evenly invested capital across all of these funds for the eight years ending 12/31/2016 (source). If the markets are rigged in favor of them, they’re sure doing a crappy job of capturing this edge. In fact……most farms I know have seen equity growth rates over the same period that would make these funds green with envy! But many of us like to blame the funds for missed opportunities. I take a different approach….. Speculators provide valuable liquidity to commodity markets. If you really want to feel screwed, start selling commodities into an illiquid market (“Sorry, we’re off the board today. No bid”)! Furthermore, there’s no doubt that increased fund participation has lead to increased volatility. Is that fun? Not really. But with volatility, comes opportunity. As I’ve mentioned before, there is no perfect grain marketing plan. But you should put systems in place to capture profitable opportunities when they occur. And I know that no one can predict next year’s yield before it’s harvested but that’s the nature of farming. We’re forced to use yield estimates when making fertility plans and the same goes for grain marketing plans. 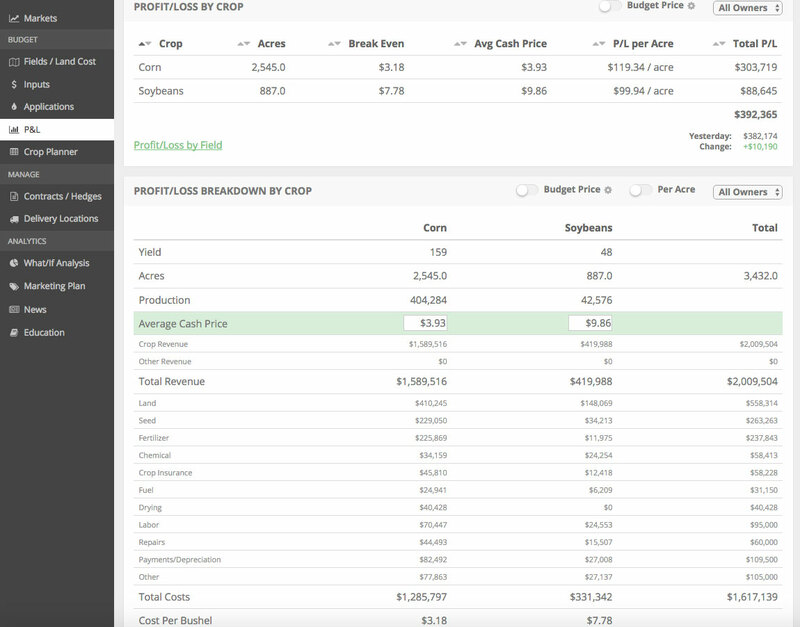 Know your cost of production, place some orders at price levels that work for your farm, and be prepared for the upside volatility that occurs with a surprising amount of frequency in ag commodities (eg. 2016 soybeans). Our software is a great tool for helping you implement these systems in your operation. Click the button below for a free trial. Do you need software to do this? Heck no. But it helps….especially when you’re busy in the field. Instead of blaming speculators, let’s control what we can control (our numbers, agronomy practices, sound capex/investments, etc) and embrace them for the opportunities they’ve given us the last 5-10 years! Disclaimer: The information contained herein was obtained from sources believed to be reliable, but can not be guaranteed. All examples given are strictly hypothetical and neither the information, nor any opinion expressed, constitutes a solicitation to market commodities or buy or sell futures or options on futures. Commodity marketing and trading is risky. Trading and/or marketing decisions and any trading and/or marketing gains or losses are the responsibility of the commodity owner, producer, and/or account holder. Market Wise Ag Services LLC, Midwest Hedging LLC, Harvest Profit Inc., it’s principals, and employees assume no liability for any use of any information contained herein.